Please bring an application and resume. Interviews on site. All employees must pass a background check. 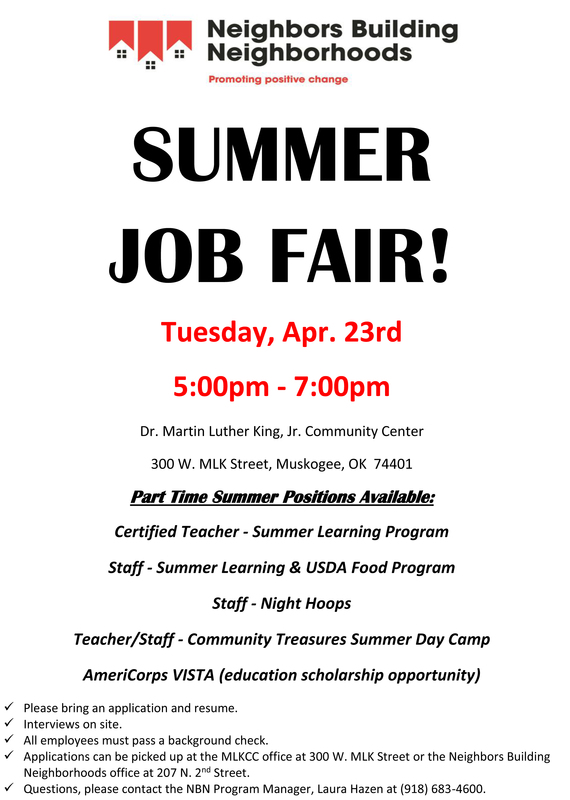 Applications can be picked up at the MLKCC office at 300 W. MLK Street or the Neighbors Building Neighborhoods office at 207 N. 2nd Street. Questions, please contact the NBN Program Manager, Laura Hazen at (918) 683-4600.